We submit that where a complainant alleged false declaration, it presupposes that there was a declaration”, Onnoghen’s lawyer, Mr. Okon Efut, SAN, said while adopting the defendant’s final address with respect to the charge. He urged the tribunal to dismiss the charge in its entirety, contending that FG failed to prove the elements of the crime beyond reasonable doubt as required by law. On the issue of Exhibit C which was the statement, the former CJN made before the CCB, Efut said it was grossly incorrect for the prosecution to equate forgetfulness with the admittance of crime. “This submission is grossly incorrect in law. When he said he forgot, that did not amount to a confession. He did not confess to the charge. The defendant cannot be convicted for an offence that is unknown to the law, for which there is no prescribed punishment. 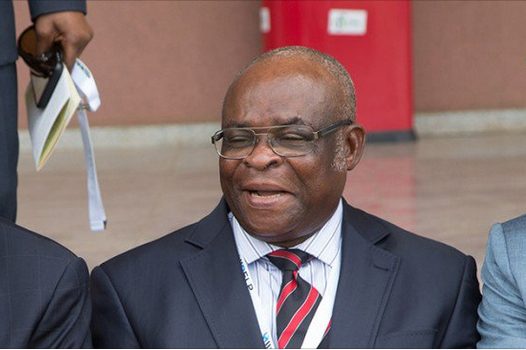 The post “I Didn’t Confess To Any Crime” – Onnoghen appeared first on LATEST NIGERIAN NEWS BREAKING HEADLINES NEWSPAPERS.